(and my good friend) Kristen. We were together at least one day per week and we laughed, cried, supported each other, and cheered each other on to be, on any given day, the best we could be. Then Kristen moved away. Our group disbanded. We were (and are) very sad about this. After many years of practice with my teacher, I was now a woman without a yoga class. Recently, I was blessed to be able to revisit the past. 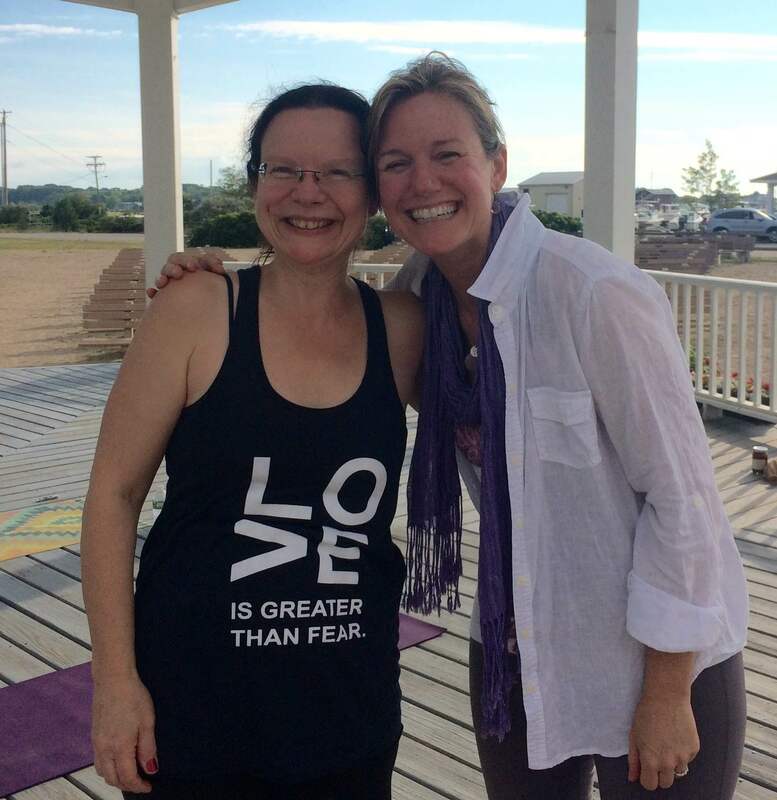 Kristen came to Maine to visit for 2 weeks and was kind and generous enough to spend 3 of her mornings practicing yoga with us. She also had a small pouch of stones with her. She asked us each to pull one. I pulled JOY. Which I loved! And then promptly lost. As I looked through all of my (millions of) bags trying to find it, I realized that this whole episode is a metaphor for my life right now: looking for joy in all the wrong places. I remembered that at the last Enlightenment Expo, I had a conversation with an Angel Intuitive who told me the Angel of Joy was with me because…wait for it…I didn’t have enough joy in my life. And that was in APRIL! Note to self: Work harder on this! Yoga at the Wells Harbor Gazebo was a good start.